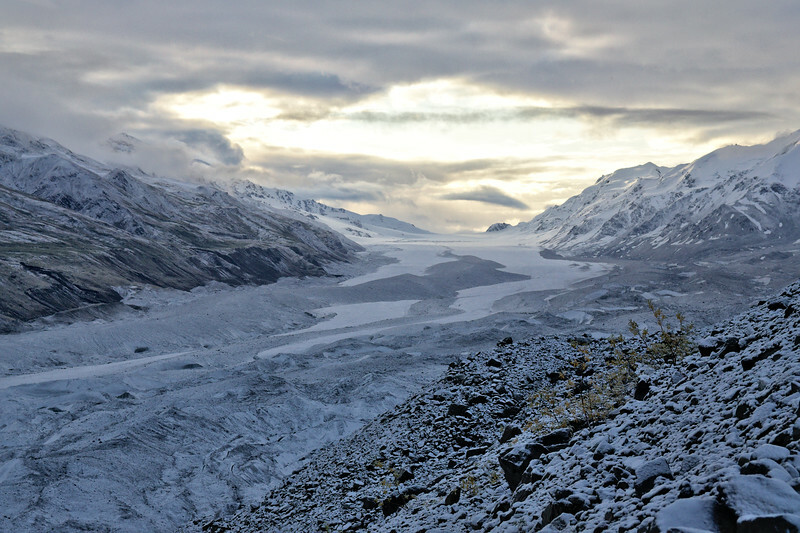 Day 2 on an overnight hike out near the Canwell Glacier in the Alaska Range. Early in the morning the aurora made a brief appearance between the clouds. Then it snowed.